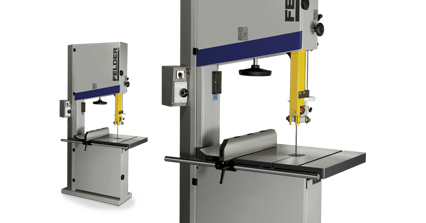 Ceramic guides guarantee excellent cutting results and maximum blade stability due to four guide blocks resting direct against the saw blade. 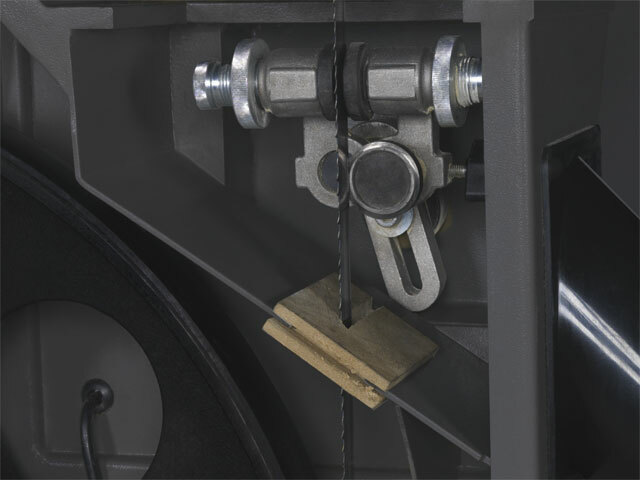 With reduced friction and low development of heat, compared with conventional roller guides, the ceramic guide offers almost unlimited freedom of wear and permits an extremely prolonged service life with consistently high cutting quality. 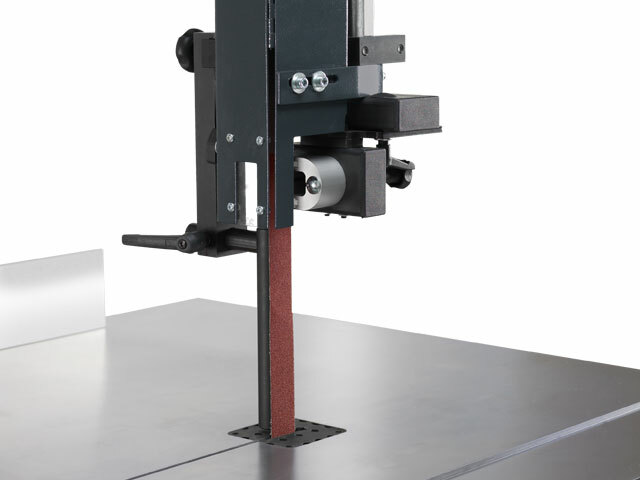 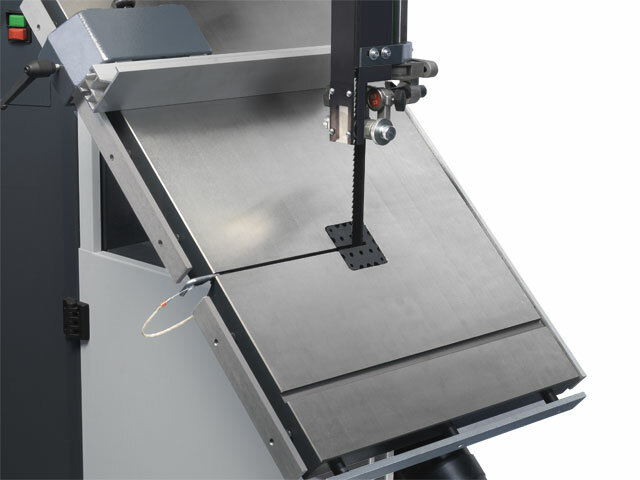 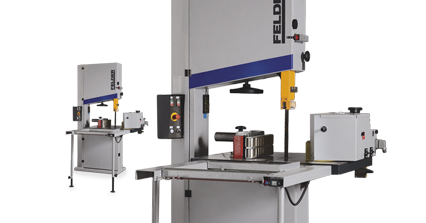 Felder bandsaws are equipped with upper and lower table guides with fine adjustable side and rear rollers. 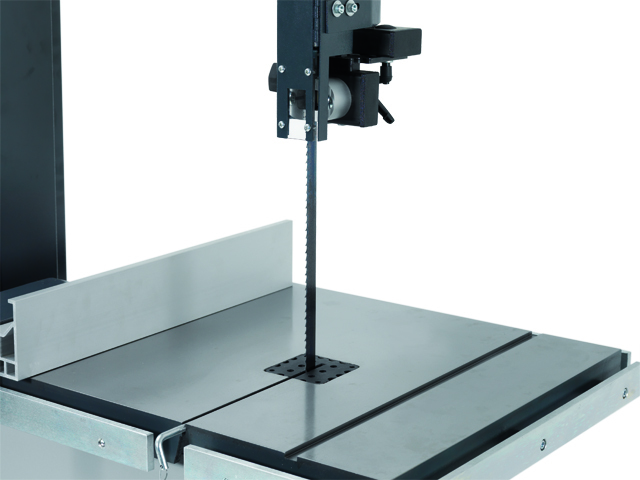 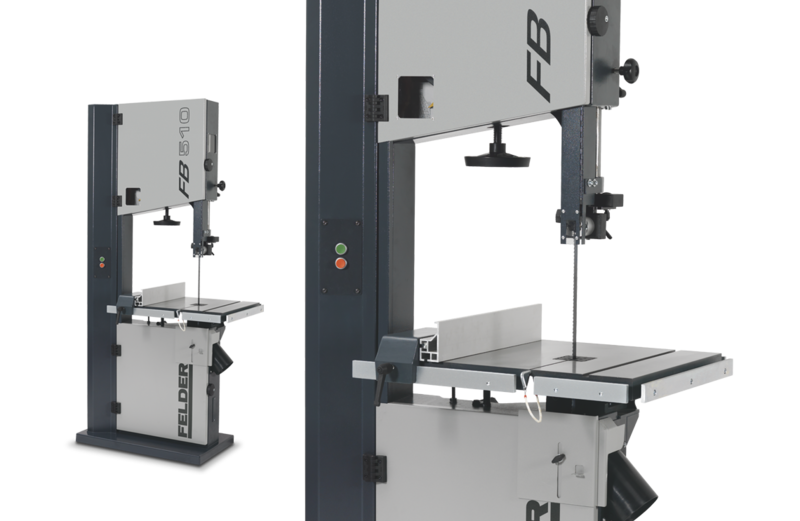 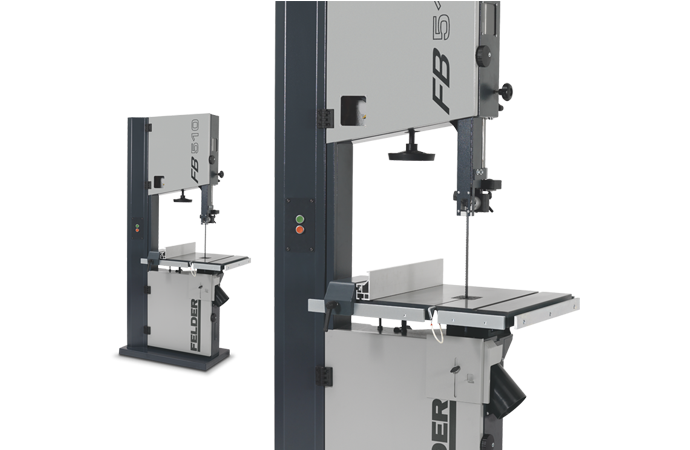 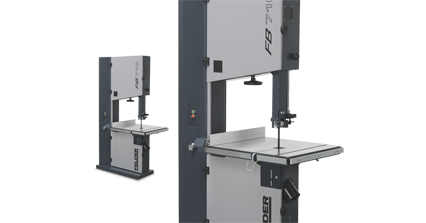 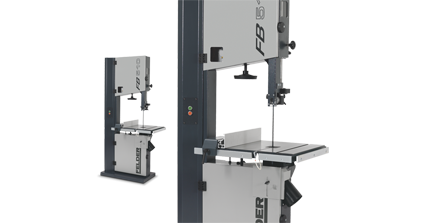 With a maximum cutting height of 410 mm, the Felder FB 510 offers a wide range of uses and operations. 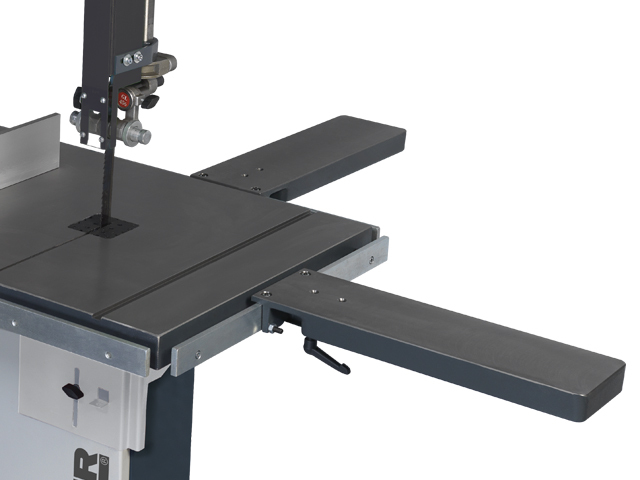 The machined and polished cast iron table can be tilted from -10° to +45°. 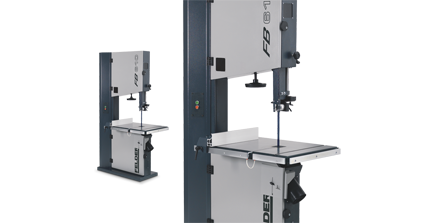 The easily positioned aluminum parallel fence can be inserted to the left and right of the saw blade and easily placed on its side for flat workpieces. 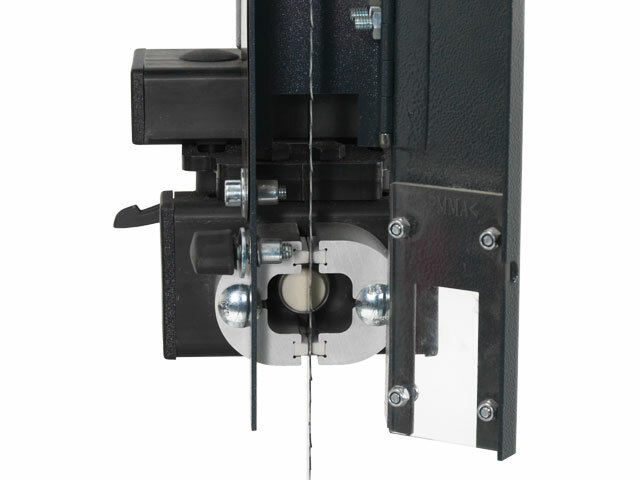 The mitre fence is continuously adjustable between –45° and +45°. 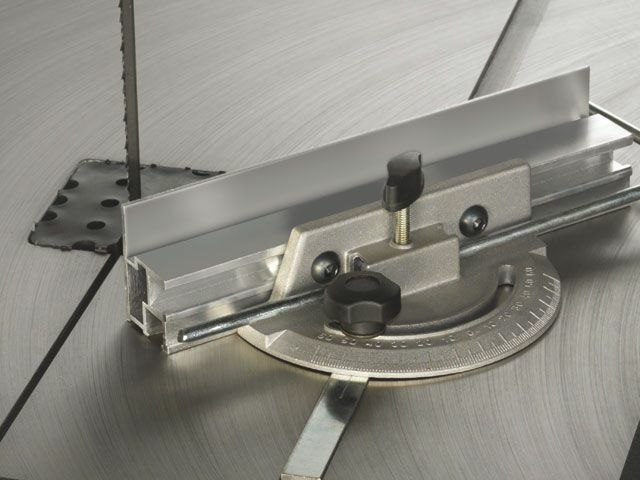 Great for mitre cuts! 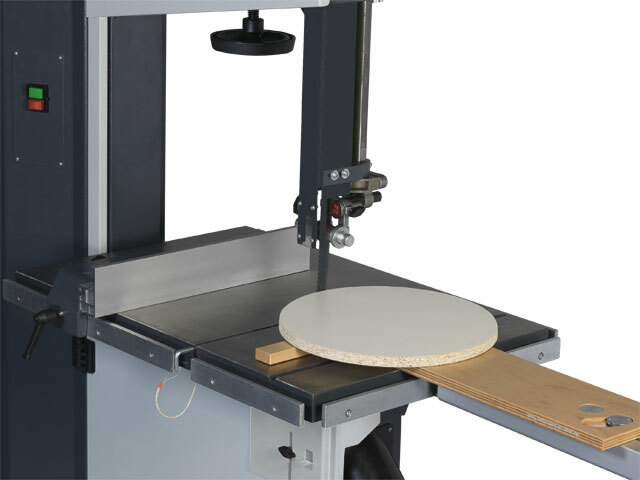 Circular cutting device – for the precise completion of curves, segmented curves or circles. 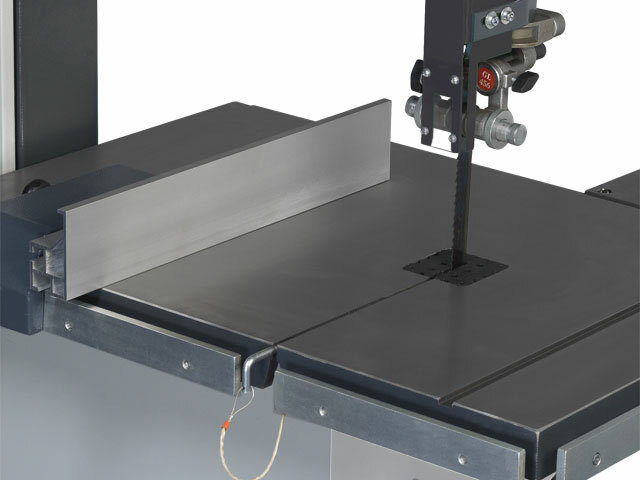 Table extension can be fitted on 3 sides.